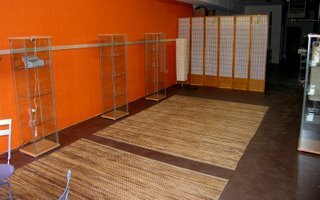 Our import agent sent some fascinating photos of the Honjo shop. Check out the split fenders for rinko. And notice how the fenders are made in a long coil. Also take a good look at the bike owned and ridden by Mr. Shimamura, Honjo's President. That is no ordinary city bike, but a beautifully crafted and superbly designed machine. Yes, those are Herse style chainrings on the TA cranks. Thanks George. Now when is our next Honjo order going to be here. We're already running low. We just got in the Pelissier 2000 hubs and they are, in a word, magnifique! The absolute top of the line hub from the most respected French hub manufacturer, except for Maxi-Car. But a NOS set of Maxi-cars costs over $500. These 2000 hubs use sealed bearings, are polished and anodized to a near mirror shine, have the special light P2000 QR skewers. In short they are: magnifique! 125mm rear spacing for 6-spd British thread freewheels. We also have a small quantity of NOS Ideale 2004 Randonnuese saddles A semi-modern saddle in soft suede from the great French saddle maker Ideale. Plastic base and steel rails. Rislan. Mousse de Latex (15mm).Cuir extra. Qualite artisinale! My favorite bottom bracket is the Stronglight 700-A Monobloc, a sealed bearing and long lasting unit that's perfect for TA cranks. 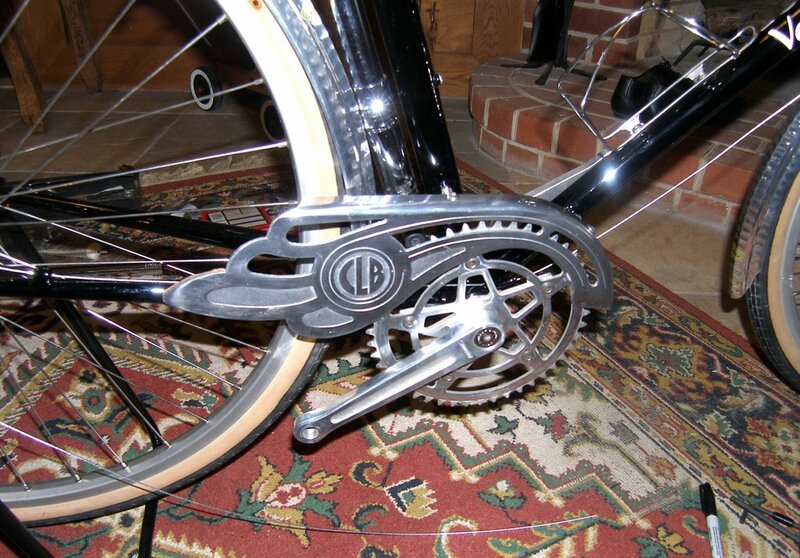 It's an unusual design that screws only into the drive side, but allows for chainline adjustment, a bit like the Edco. Highly recommended, but we only have a few. For those of you who think we don't carry enough modern components we have the Sugino XD track crank. This is the track version of the venerable Sugino XD crank. What's special about our version is that it has the old style logo and is highly polished, not matt finished like most. It comes with a 46t, 3/32 chainring. We also have a few Pake fixie cranks. It's your basic Taiwanese crank set up with a 46t 3/32 chainring. Great for city bikes and beaters. Definitely not NJS approved, but nice and shiny. Wadda ya want for $52. 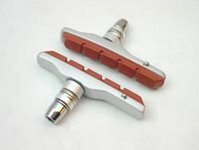 The Paul Neo Retro canti brakes and bolt-on Racer centerpull brakes in the special highly polished finish have also arrived. We might be the only shop to have those. The Simplex chainguards and gold Belleri handlebars seem to have been delayed a couple of days, but they have been shipped and are en route. Our first orange frame is going to Derek. He requested Johnny's signature Italian style concave style seat caps. 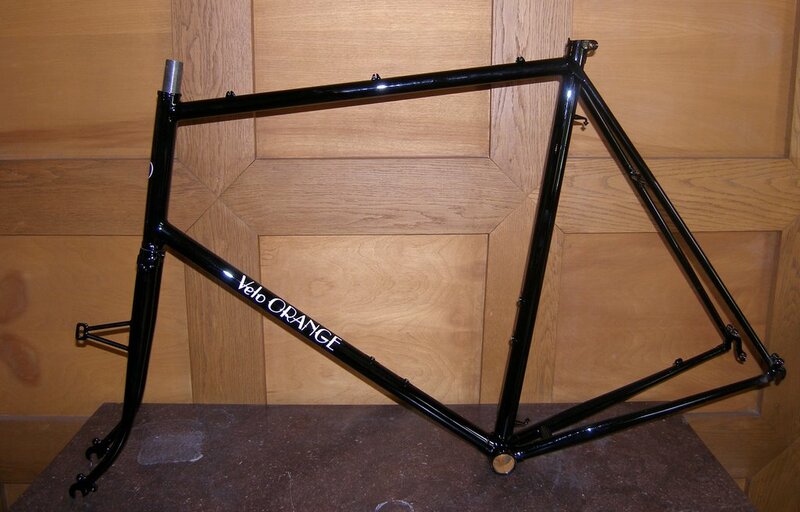 Unlike most of our frames, this one is intended as a very fast all-arounder and lacks some of our usual braze-ons. The color is a bit more like a burnt orange than what shows on my monitor. More photos here. Check out those rear dropouts; shweeeet! Sarah's black frame is next. One of the neat things about running Velo Orange is corresponding with other folks who love bikes and hearing their stories. For example, David e-mailed me asking for fenders for a brand of bike I had never seen, a Le Chemineau. "The Chemineau was a production bike made by Joanny Panel in St. Etienne. They were sold for $135. in the 50's, which was expensive, but not compared to custom bikes. Mine did not come with racks, but the 650B version had racks and the hammered aluminum fenders." "As I said, I really like the hammered fenders, but I had never seen any on 700C bikes until recently. Of course, when I got the bike, in 1955, it was very unusual. It seems almost everyone on the AYH rides were on English 3-speeds at that time. The person who first told me about the exotic French lightweight Le Chemineau bikes was my high school friend, Peter Lagerstedt. He bought one from James Armando, who was selling them out of his cellar in the south end of Hartford. Mr Armando was very instrumental in promoting cycle racing in this area, and is mentioned in Peter Nye's book "Hearts of Lions", along with Joe Tosi whom he coached. 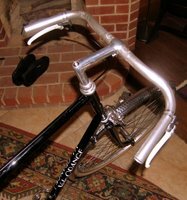 Peter L. still has his Chemineau, which is similar to mine, except it has close-ratio gears with steel cranks, and tubular tires. Mr Armando thought these bicycles were ideal for racing because of the indexed shifting. However, as you can see from my bike, the frames were made for touring. 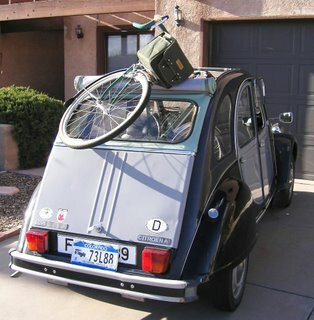 He also sold "touring" Chemineaus that had 650B tires, hammered aluminum fenders, and front and rear racks. When I first put a rear rack on my bike and showed up for an AYH ride, Mr. Armando came over to me and said "can I interest you in a touring bike?" He was upset that I had put a rack on what he saw as a racing bike, even though the bike in question had been ordered with wide-ratio gears. 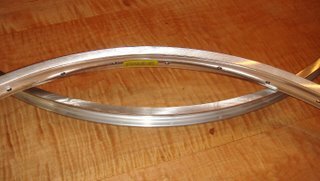 Anyway, I gave Peter L. a call and asked if he could describe and measure his fenders, and he said they measured between 42 and 44mm, were smooth with longitudinal ridges. He said I should buy the smooth Honjos from you, but I think I'll go with the hammered ones. I was also thinking of changing the tires to 32mm. The 35mm ones on the Mavic rims don't seem all that wide, but I think the 32s would be a little easier to push up our New England hills. I would be honored to have you post some pictures of my Chemineau, especially after I finish installing the fenders and rack(s). 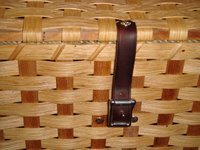 The Henri Gauthier saddle that I got from French eBay is in need of some reshaping, and I am reluctant to try this myself for fear of spoiling it, so that is causing some delay. However, Peter Neiman is sending me another one from his collection, and hopefully it will be usable as is." So here is someone still using a classic French bike he bought in 1955. Wow! This illustrates the wisdom of getting a sensible and good quality machine rather than chasing after the lightest and newest. I hope our customers use their Velo Orange bikes that long. Annette has a new Velo Orange randonneuse. The build is pretty modern with Campy 9-speed, Tektro brakes, and Velocity rims. There are lots more photos here. It'll get a rack, Belleri bars, and elk hide bar covers in a few days. We are also waiting for new pedals, but we had to rush to get it ready for her to ride in the "Ride for Shelter" redux. When I asked what she though of it after the ride she said, "God it's wonderful. It feels like it was made for me." BTW, this is more like what the blue color really looks like. Also, we will be building the first mixte rando frame in a few months. Pelissier and his Hubs ? 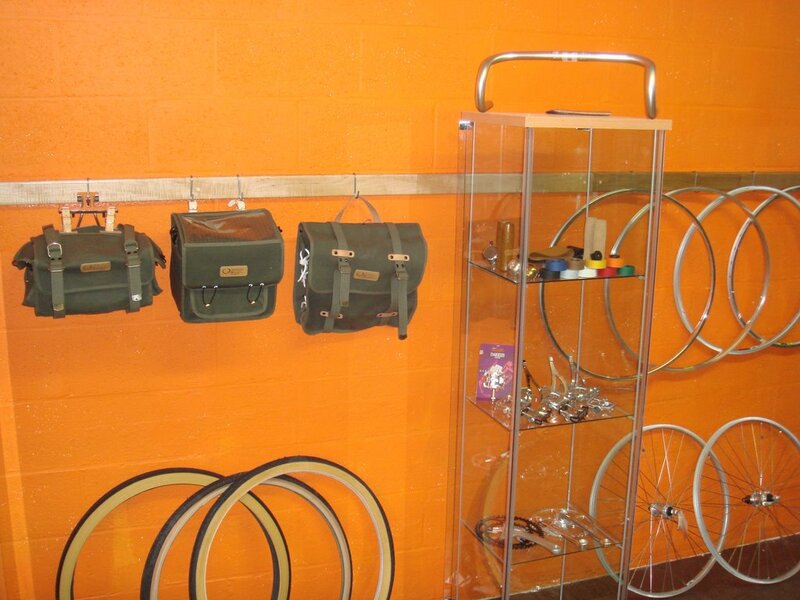 We have found a small stock of Pelissier hubs right here in the US. 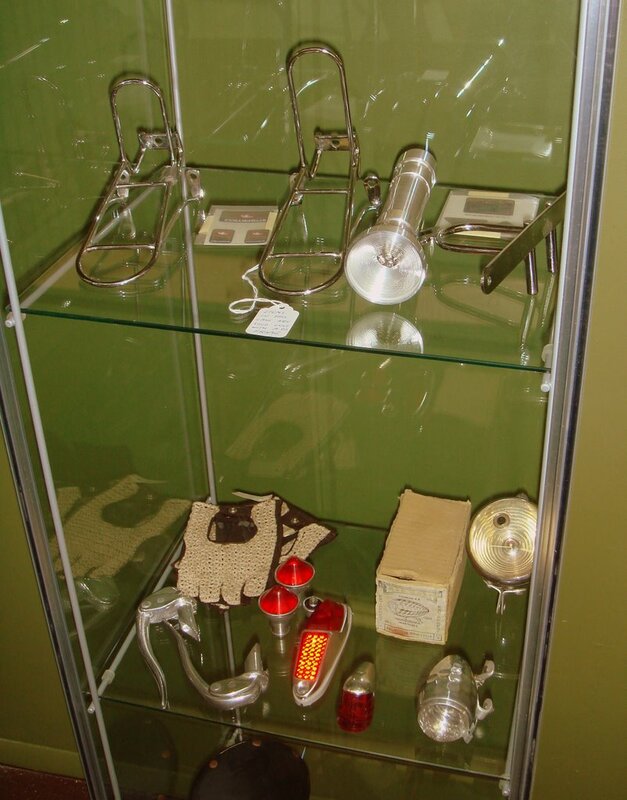 Pelissier was a very old and respected French firm, many say they once made the best racing hubs in Europe. Maxi-Car of course made better touring hubs, but their cost put them out of reach of most cyclists. "Pélissier was one of four brothers, all of whom became professional cyclists. He began racing professionally in 1911 and amassed important victories before the First World War, including the 1912 Milan-Sanremo and three stages in the 1914 Tour de France. After the war he resumed competition, winning Paris-Roubaix in 1919 and entering the Tour de France for the next five years. Prior to the 1921 Paris-Roubaix, Henri and his brother Francis demanded that their sponsor pay them more than the pittance that racers usually received. Their request was rebuffed and they chose to enter the race as independents without team support. Desgrange vowed that they would never again appear on the front page of his newspaper l’Auto, only to eat his words when Henri emerged the champion. After another spat in early 1923, Desgrange wrote "Pélissier will never win the Tour. He doesn't know how to suffer.” Pélissier then handily won the 1923 Tour. The following year he withdrew from the Tour after a penalty he considered unjustified. In an interview he again protested Tour conditions, saying “we are treated like beasts in a circus." The reporter, Albert Londres, coined the term “convicts of the road,” which has been applied to cyclists ever since. Pélissier was notorious for being argumentative and hot-tempered, often inciting teammates and others in the peloton. After his retirement in 1928 his combative personality led to a quick deterioration in his life. In 1933 his wife Léonie despaired of living with him and shot herself to death. Two years later his new companion, Camille Tharault, shot Pélissier to death with the same gun after he slashed her with a knife during an argument." 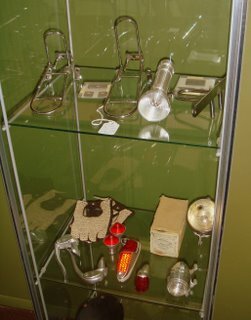 A French fellow I chat with is a virtual encyclopedia of old European cycling gear, having spent his life in that business. He knows every, hub, dérailleur, crank, and saddle made since 1930 and has used most of them. Of the rare Pelissier 2000 sealed bearing hubs he told me "Those are the best hubs ever!" I assume he meant racing hubs. We now have two models of Pelissier hubs in the store. There is the lovely high-end model 1000 with sealed bearings for 6-speed freewheels. And we have some more ordinary 5-speed high flange hubs. In our next shipment we'll get a few sets of the legendary model 2000. I'm keeping the first set for myself, but we'll have some to sell too. Finally, I got a few Nervex QR skewers which are, to me at least, a real mystery. Has anyone ever seen these or know anything about them? We just keep getting new stuff. 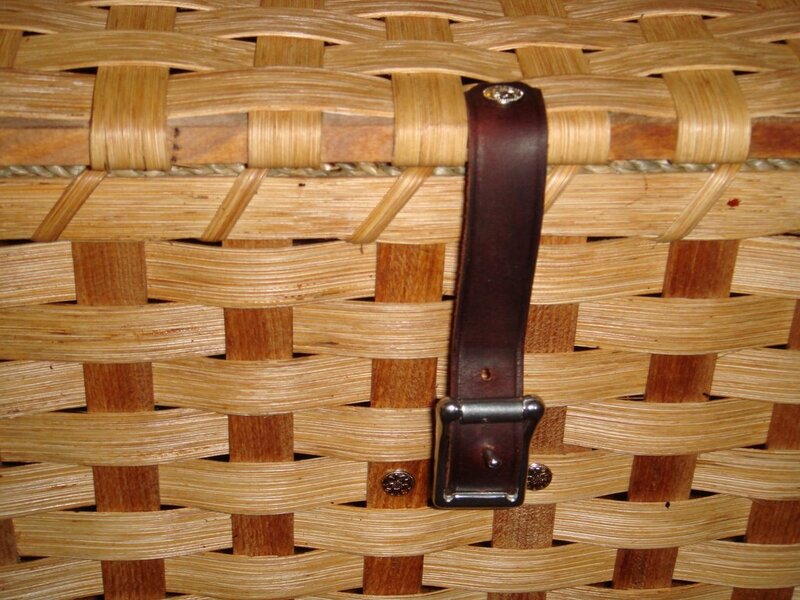 The Amish baskets arrived and they are even nicer than the samples. They used slightly narrower strips that they say are stronger, but they are also even prettier. "Eli Hershberger and his family, with four small kids, make baskets in rural Minnesota. They are an Amish family who grow their own food on a small plot, keep one horse and a cow, and use a generator to power their saw. Since the road outside their farm has been closed they've had no place to sell their baskets. You can't drive too far in a horse and buggy." These baskets are one of the few ways the Hershbergers can make money. It's their main family business. Again, a big thanks to Neil Berg for arranging all this. They're in the store now and I'll e-mail those of you who reserved them. The TA factory might still have some Pro-5-Vis cranks stashed away. We are trying to get all we can. They confirm that these are the last of them, forever. But they will continue to make chainrings for them! We will have NOS Belleri Randonneur handlebars in a few days. Now you can have real French Randonneur bars on you French style bike. And these are not some left-over narrow sizes, but proper 44cm wide bars for big Americans. We'll also have two more shapes of NOS city bars from France. I am working to get 0.2mm shims. Can you guess what those are for? It's spelled both ways on the packaging. 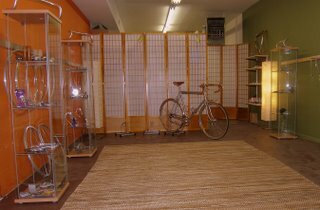 I finally put the bars and stems into the store. The porteur bars cost $48 for a packaged pair or $35 for the ones that were stored bare and scratched. If you get the cheaper ones you can do a full wrap with cloth tape and shellac them. We have three types of Belleri stems. Actually there is a fourth type that will go on the special's page. They cost from $20-$28. We just got our first shipment of Nitto Technomic Deluxe stems. Those are the cold forged type with a nicer finish than a standard Technomic. 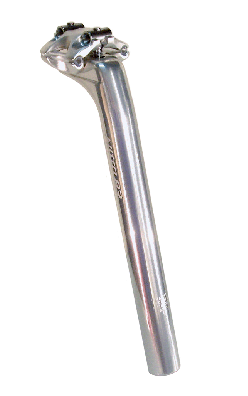 We will also be stocking Nitto Lugged stems in a nickel finish. So far we only have a few in 120mm size, but we hope more will be available. Our price will be $125. Finally, we now stock the Sugino old logo XD500 cranksets. $99. The highlight of the open house, for me, was meeting Ralph and the rest of the crew from Via Bikes. In case you don't know about them, Via is a huge, 10000 square foot, bike store in Philadelphia that specializes vintage parts. Have a look at their web site. The bike is a 1950s Peugeot Complete with Simplex 543 rear derailleur, Beborex brakes, Rigida rims, Simplex Hubs, and Ideale 59 alloy rail saddle. Just too cool. The rest of the photos are here. And another set is here. Thanks again to everyone at Via. 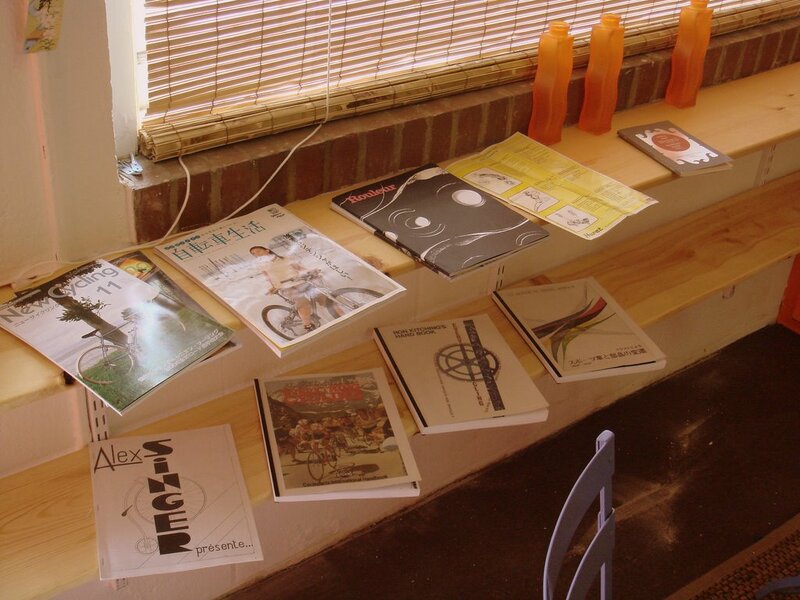 Finally, Ed Felker posted a couple of open house photos on his very cool blog, The Daily Randonneur. There are more city bike photos here. I'll mount the front rack and reverse levers soon and post more photos. Our agent for Japan sent this photo. I thought I'd share it. That looks like a nice city bike. "Just for fun, here's a picture of Mr. Shimamura, Honjo's President and owner riding his bike near the Honjo factory." I'll try to take more photos of our city bike later today if I can manage to ride the few blocks to the harbor in the 50-mph wind gusts we're getting. Thanks to everyone who came to the open house. It was a lot of fun. 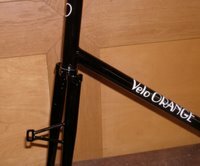 A few photos of the city bike frame. It exceeds my expectations. Please excuse the dust and fingerprints on the paint; the paint is perfect. Major kudos to Ahren! And to Carl for painting it. Please note the pump pegs, generator mount, adjustable chain guard mounts, over BB cable routing, dual dropout eyelets, and wide flat fork crown for fat 650b tires. I've started to build it up and I have even more respect for the amount of detail Ahren had to consider when building it. This is one complicated frame and it's impressive that everything fits so perfectly. Many racing frames with half the braze-ons don't come close to being this well thought out. The French bars and stems arrived this afternoon and I've used one of the porteur bars on the city bike. It looks great and is a nice shape. I'll drill and mount the chain guard and fenders in the morning when I'm fresh, otherwise most of the components are on the frame. The shop is almost ready. I snapped these shots yesterday. The weather forecast for Sunday's ride looks grim indeed, high winds, cold, and rain. We'll have warm sake and hot espresso. 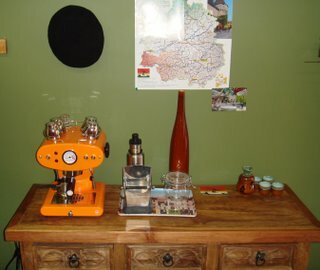 Yes, that lovely orange FrancisFrancis espresso machine is the newest member of our staff. Our shipment of Nitto S-83 seat posts have arrived from Japan. They are really nice looking two bolt posts with an extraordinary finish. They are every bit as well made as any of my Campy posts and better designed. 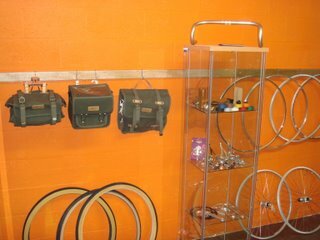 We also have Nitto R and Nitto T water bottle cages. They are more a piece of art than a component, and priced like it. But if you have to have the most beautiful cages made, there is no other choice. The sample set of inexpensive 650B wheels arrived and I was impressed. They are CR-18 36h rims laced to Nexave hubs (not Nexus). Nexave hubs are meant for hybrids and city bikes, but they seem to be a very nice and well made component. We ordered a few sets. They will cost $135 and should be here in a few days. I can't get many of these so if you want a set it might be a good idea to reserve them. Those of you coming to the open house will be the first to see the VO city bike frame. I'll try to get it at least partially built up by Sunday. 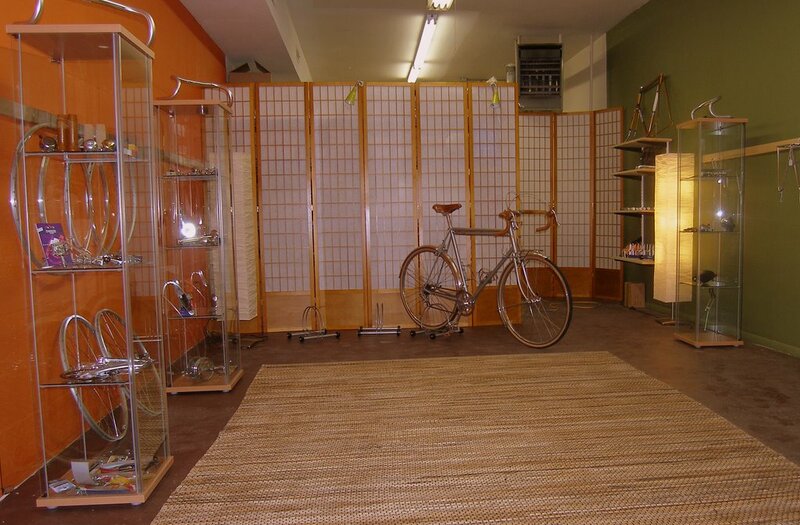 We may also have one of the fixie frames on display. 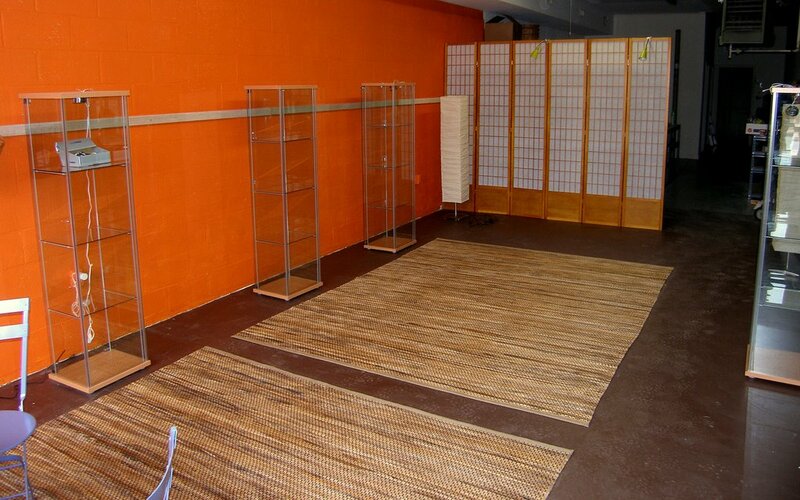 As I wrote a few posts down, we'll have an open house in the new showroom on April 15th from 1pm to 6pm. The address is 214 West Street Annapolis MD 21401. We hope you'll drop by for a glass of wine, sake, or lemonade and Franco/Japanese snacks. Ryan Watson sent the photo on the left. that's his Citroën 2CV and his bike (note the Ostrich bag). If you can't ride to our shop, this is a fine way to arrive. Take I-495 to Route 50 East. Get off on Rowe Boulevard (exit 24) towards Annapolis (that's a right turn onto Rowe) Turn right at the second light onto Taylor Avenue. At the traffic circle go 3/4 way round and exit onto West Street (towards downtown) We are 2 blocks down on the left; look for the orange door. Take I-97 to Route 5o East. Get off on Rowe Boulevard (exit 24) towards Annapolis. Turn right at the second light onto Taylor Avenue. At the traffic circle go 3/4 way round and exit onto West Street (towards downtown) We are 2 blocks down on the left; look for the orange door. Take Route 2 into Annapolis. Turn Right on west Street. At the traffic circle go 1/2 way round and continue on West Street (towards downtown) We are 2 blocks down on the left; look for the orange door. Cross the Bay Bridge. Get off on Rowe Boulevard (exit 24) towards Annapolis. Turn right at the second light onto Taylor Avenue. At the traffic circle go 3/4 way round and exit onto West Street (towards downtown). We are 2 blocks down on the left; look for the orange door. On Sundays you can park on West street without paying the meters. Or park in the neighborhoods adjacent to West Street. There is also a city parking garage one block past Velo Orange on the right (turn right on Colonial) and another one a block before VO on Amos Garret St. The Ride for Shelter takes place earlier on Sunday. It's a neat bike ride through the various parts of Annapolis to raise money for the local homeless shelter. There'll a swap meet from 8-11am. So bring all your old bikes and parts. This is the first time we've tried the swap so I'm not sure how well attended it'll be. There is no fee for the swap meet, but we ask you to donate a small percentage of your take to the shelter. There will be someone there to sell used bikes if you want to leave one and go on the ride. 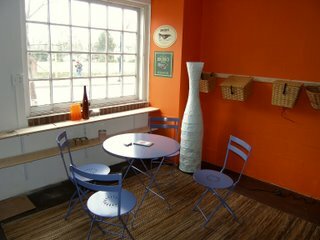 You can easily walk to the harbor, state house, and historic district from the shop. 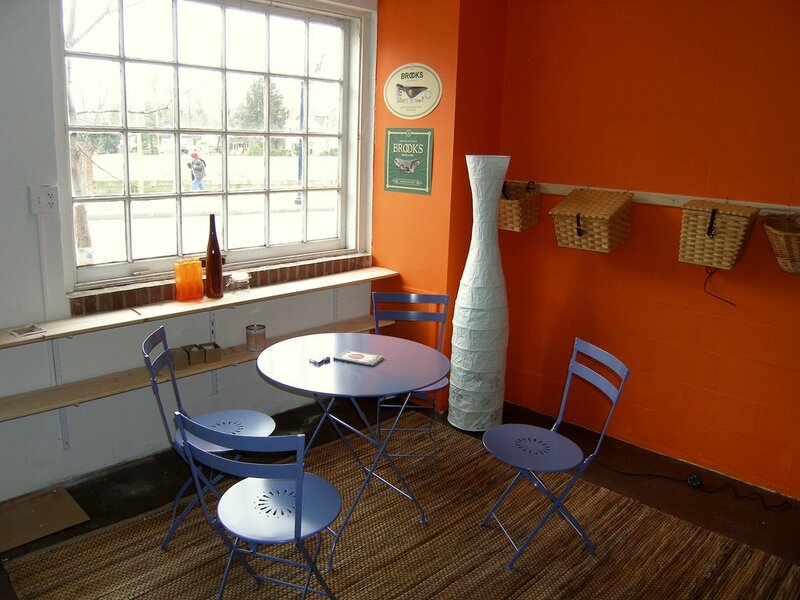 There are plenty of nice restaurants and cafes just a few blocks away. Early next week we will again have Honjo 35mm smooth and hammered fenders. Unfortunately I misunderstood about the availability of the 43mm smooth and they will not arrive for some weeks. V.O. will start stocking Yokozuna brake pads. Why Yokozuna and not Kool Stop, you ask? It's because Yokozuma pads were co-developed with Scott-Mathauser and use the legendary Scott-Mathauser rubber! Plus, they're pretty. They'll be here late next week. A good supply of 700c highly polished yellow label touring rims from Fiamme of Italy has shown up. These look fantastic on older touring bikes. They don't have eyelets, but these are wide, heavy duty, 36h, concave rims. And at only $70 per PAIR they should sell well. We will also have the old-logo Sugino 110bcd triple cranks, Nitto water bottle cages, and a few surprises. I'm looking at some very inexpensive 650B wheels. The sample pair will be here today and I'll order a bunch if the quality seems okay. They have mid-range Shimano hubs and Sun CR-18 rims. Are they worth $145 per pair? Finally, we can get some basic TIG welded fixie frames at a very good price. I've been kicking around the idea of building them up as a fast city bike. Maybe using CLB brakes, Brooks B-17, Bullet crank, upside-down Wald alloy bars, alloy fenders?. Priced at about $500-$600 complete they might be fun. It's just a crazy idea but is it a good one?